Restaurant served from Halal certified kitchens: these restaurants will only serve food from a Halal certified kitchen, but they may also serve alcohol in the restaurant. Furama RiverFront Hotel's Kintamani Indonesian Restaurant is a Halal-certified restaurant. Established since 1985, it serves Indonesian cuisine over a delectable halal buffet spread as well as a savoury a la carte menu. 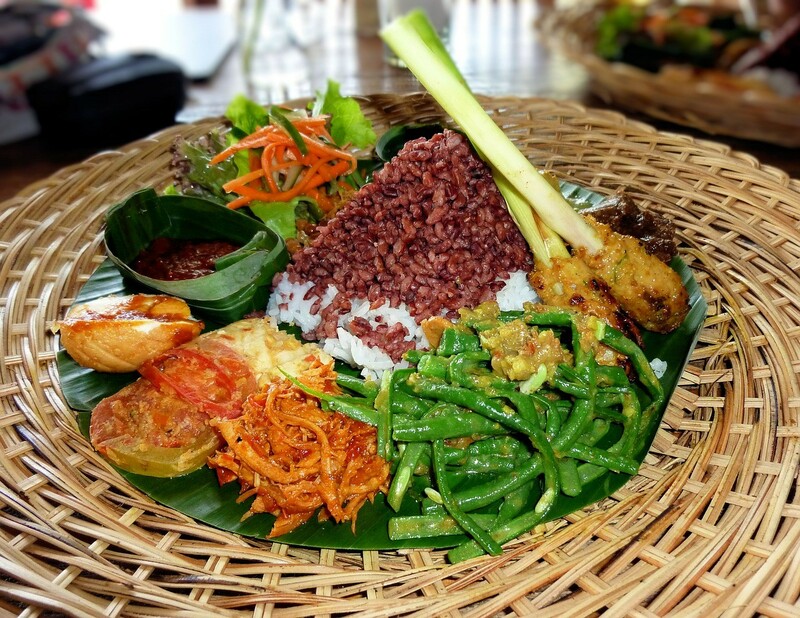 More information on Kintamani Indonesian Restaurant here! Village Hotel Katong's Katong Kitchen is a new addition to the Halal buffet restaurant scene in Singapore. They have International buffet, ranging from Peranakan, Chinese and Western to name a few. More information on Katong Kitchen here! 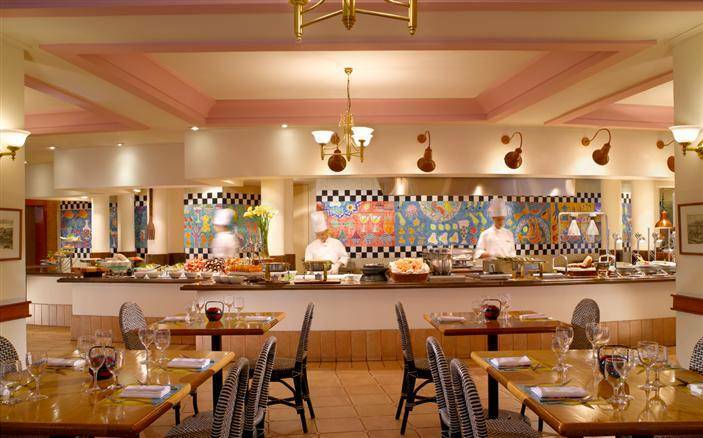 One of the best-known buffet restaurants, Carousel @ Royal Plaza on Scotts offers great Asian and Mediterranean buffets. It is also a good place to enjoy some Halal sushi, sashimi and Teppanyaki. 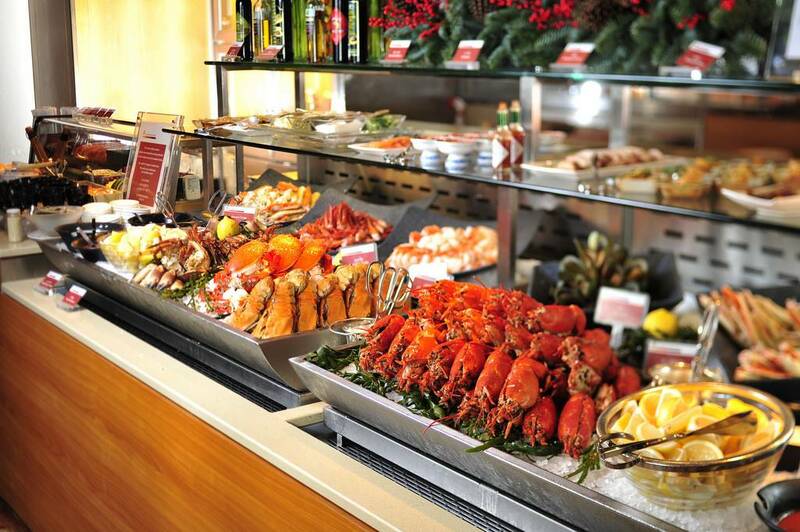 It has won the Best Buffet Restaurant in Singapore title for 6 consecutive years. More information on Carousel @ Royal Plaza on Scotts! Available for breakfast, lunch, high-tea and dinner, Straits Kitchen @ Grand Hyatt Hotel offers great local cuisine. It includes local favourites such as Satay, Beef Rendang, Hainanese Chicken Rice and Laksa. It also has an Indian station with Tandoori Chicken and Naan. More information on Straits Kitchen @ Grand Hyatt Hotel here! This restaurant is located right in a shopping mall and hotel. 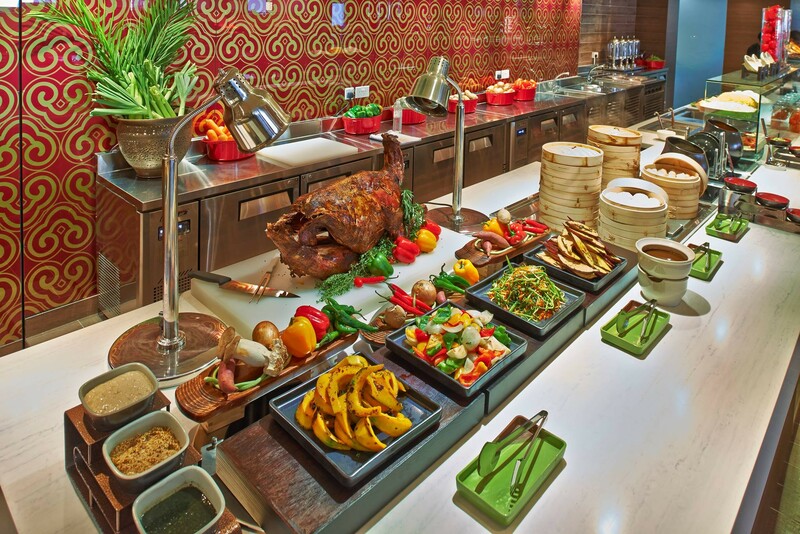 It offers a sumptuous halal buffet with many local and pan-Asian favourites. After a hearty meal, take on the classical desserts such as brownies and mini cakes. a tip: the prayer room is located right outside the restaurant. More information on Asian Market Cafe @ Fairmont Singapore here! Aquamarine is more on the expensive side but is definitely worth it, with its great spread of Asian and International cuisines. It's one of the best buffets offering a wide selection of seafood, so seafood lovers out there, sail to Aquamarine right away! More information on Aquamarine @ Marina Mandarin here! 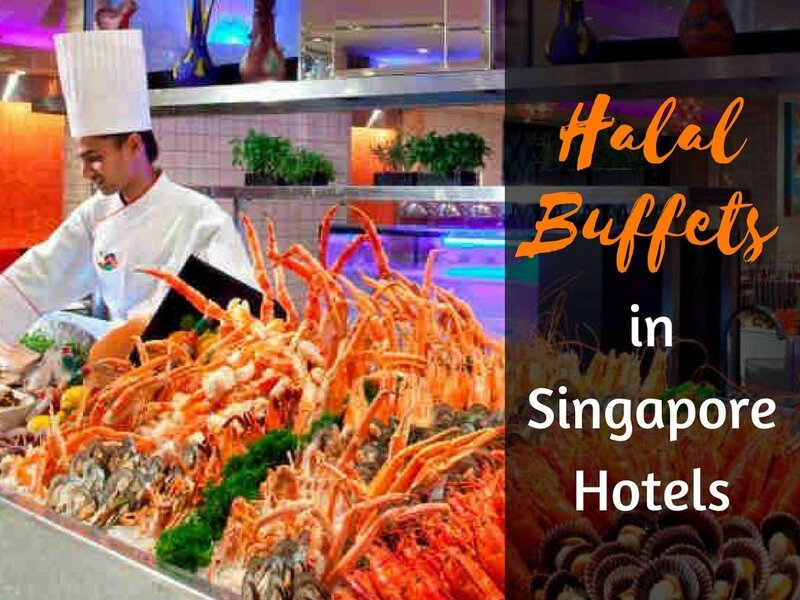 Share your experience at these hearty buffet restaurants and upload your favourite finds on Halal Dish Spotter on HalalTrip, now on Apple and Android. You can also find your nearest prayer space so no worries about missing prayers ever again!